Prostate Cancer UK Online Community » Diagnosis » Being diagnosed with prostate cancer » Dad diagnosed with prostate cancer. How can I help? Dad diagnosed with prostate cancer. How can I help? As the conversation title for this post reads, my Dad was diagnosed today with prostate cancer and my family as you can imagine is at a disbelief. Obviously when we heard the news we were in shock but now that the news has settled in my Dad is determined to fight this and we are determined to be there with him along the entire process to beat this cancer! Here is a little background on my Dad, he just turned 62 in February and has always been athletic and continues to live an active lifestyle. He went for a DRE in January where the doctor noticed that his prostate was enlarged. The doctor then ordered a blood test which came back with a PSA of 24.2 with free 5.6. The doctor then ordered a biopsy which confirmed our worst fears of cancer being present in my Dads prostate. The biopsy shows that they took 6 tissue samples from my Dads prostate...? Part A: Right Mid, Part B: Right Base, Part C: Right Apex, Part D: Left Mid, Part E: Left Base, Part F: Left Apex. We live in the United States so I dont know if the testing differs from how its done in the wonderful UK. Anyways, all 6 samples came back with a Gleason score of (4+3) 7 and it appears that the Part D (Left Mid) and Part F (Left Apex) were found to have Perineurial Invasion (PNI). The other 4 samples there was no PNI identified. Now the urologist that conducted the biopsy wasn't very much help and I could tell he was getting annoyed at all the questions my Mother and Father (my Dad and Mom do not speak very good english so I was helping translate) were asking, Im wondering what the outlook may be and what options we have as far as treatment? My Dad will be getting a CT Scan/Bone imagine done in the next week in hopes that the cancer has not spread outside of the prostate. Once the scans come back the doctor said there are two main options. Either surgery to remove the prostate or radiation with some hormone treatment. To wrap up, my questions are.....is there anyway I can find my Dads "T" score? Id like to do a bit more research on what that exactly means. Also, based on the results Ive shared, is the outlook looking promising or should we just wait to see what the CT scan results tell us? Last but not least, how can I help my Dad through this? So far he's pretty optimistic and in good spirits and says he will continue to live his normal active lifestyle. Sorry to hear your news. A cancer diagnosis is a worrying time - most of us here have been through it - but unfortunately all you can do at the moment is wait until all the diagnostic tests have been completed. The "staging" of the cancer and the best way forward can't be confirmed until all that's done. Please do try not to assume the worst, and I'd strongly suggest not relying on "Dr Google"! 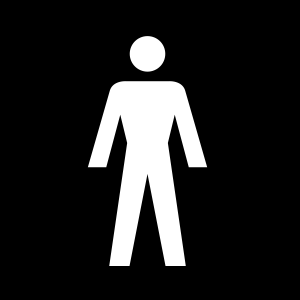 This site has lots of useful information about the different types of treatment available for prostate cancer - it would be worthwhile downloading and reading it. Please do keep us updated. You'll know where you stand and what the future holds once the test results are all back, and that will at least remove some of the uncertainty you're understandably feeling at the moment. Sorry to hear the news,but hold your heads up and be positive. I was diagnosed 2 and half years ago with a PSA of 32.I was a 4+3 but it was contained in the prostate.I opted for the belt and braces approach which my Consultant recommended. It meant having the prostate removed,6 months of Hormone treatment and finally 8 weeks of Radiotheraphy everyday. So 2 years down the line I have had 3 blood test results all with a 0.001 PSA which means it is virtually undetectable. Hi Sorry to hear your news about your dad but you have come to the right place for advice.I think once you get the cat scan and MRI scan the doctors will have a better idea of the extent of the problem and give you T score and the NO MO results.I had a Gleason of 3+4 =7 and had a choice of removal of the prostate or Brachythearpy and after reading up on it choose Brachytherapy.If you click on my avatar you can see my progress so far. Meanwhile, suggest you download or obtain a hard copy of the 'Toolkit' available from the publications section of this Charity. It provides a lot of background information and on treatments. You might also find it helpful to join the much larger 'Inspire- us too', international forum which is largely USA orientated and to which a few of us subscribe. Hi. Sorry to hear about what you are going through. It can be a distressing time as I went through initially. One is in utter disbelief. I think the CT Scan or bone scan are usually done to determine the actual staging. But if the tumor is localized then surgery remains an option. So you can remove the prostate . I have heard about robotic surgeries being really good but on the other hand they can end up being a nuisance as alot of nerves are in that area. So there is always the risk of urinary incontinence. At the end its a big decision. I can't say much about surgery as my dad was a Stage 3 (advanced prostate) so we werent given the option of surgery. Hi guys! Thank you all so much for your replies! Just a quick update on my Father, we got the results back from the bone scan and fortunately it came back negative! So the cancer has not spread to the bones and we are hoping that it is still localized in the prostate. We are still waiting the results of the MRI scan to see if it has spread to the nearby areas. So far we have spoken to an Oncologist and a Urologist and they have both given us their input for the treatment options. It looks like it will either be Radical Prostatectomy (surgery) or the Radiation therapy. I feel like my father is leaning more towards the radiation therapy right no based on the information the doctors have given us. We have a follow up for the MRI scans next week so we will know a bit more and will have to make a decision as soon as possible. I shall keep posting updates on here for whoever is interested. Thank you all once again for your replies and for taking the time to read my posts! Much love to all! You might want to ask about going on to hormone therapy (HT) ASAP. It will stop the cancer growing for the moment. You need to be on HT for a few months before having Radiotherapy to get best results anyway. If you decided to have Radical Prostatectomy instead, the few weeks of unneeded HT before you made up your mind isn't going to do any harm. If he was in the UK he would not get hormones unless he is going for radiotherapy - NICE guidelines say that HT must not be prescribed before radical prostatectomy except as part of a trial. It will be interesting to see whether the US is different.